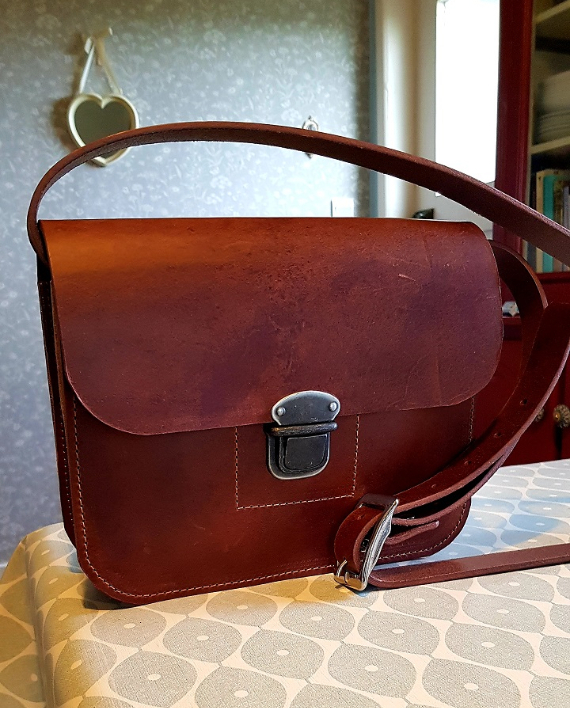 The mishnóc Leather Satchel is manufactured by us in Athenry Co-Galway using the finest European Cow Shoulder that is tanned using the traditional art of veg tanning in Italy to produce a grade A analine leather. The satchel measures 24cm x 19cm and has an adjustable shoulder strap. The closure is an antique metal push lock. The inside is unlined grade A analine leather.